30km west of Huelva, towards the Portuguese border. Architect: Enrique Canales and Luis Recasen. I played here in late July and the course was in magnificent condition. We managed to play all 27 holes over two days and it was truly splendid. It is really challenging and yet it is fair and gives you a chance for good scoring. I hit more iron shots than 5 and 3 woods into the Par 4's and, in this day and age where 400metre Par 4's seem to be the norm that was truly encouraging. My Son in Law who played with me tends to hit the ball around the 260 metre (285 yards) mark from the Tee and yet he still found it a great challenge to his game. Many fairways are pine tree lined. 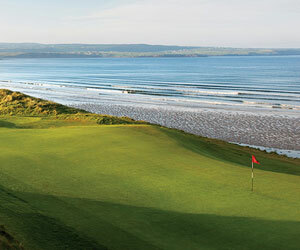 There are water hazards, elevated tees, spectacular views and fantastically well kept greens. The club house is pleasant with good service and food throughout most of the day. We were made extremely welcome. BUT!!!!! DO NOT PAY THE FULL GREEN FEE WITHOUT FIRST TRYING TO GET A "DEAL". This is particularly true in the height of summer when the course is almost deserted and Buggies are usually thrown in with the green fee. I really would like to return to this course. It was great. Hello! 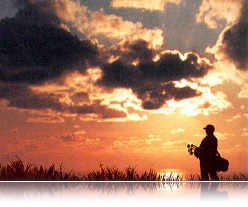 I´m going to visit some friends i Vila Real de Santo Antònio the 1:st of April, and i want some information about Islantilla Golf Club:s golfcourse, if it´s possible. Me and my wife are from sweden near Stockholm. The best regards / Wincent. Have visited Islantilla twice now, firstly in 1999 and then again in 2001. The first time we played we were very impressed, the three courses were in very good condition and we were looking forward to our return a couple of years later. Unfortunately, we were very disappointed just two years later. Two of the three 9's were in a shoddy state but that was nothing compared with the amount of building that has gone up around the place. Row upon row of tiny little holiday homes, all different colours of the rainbow and looking like something out of a Disney cartoon. Shame, but we won't be returning. Played it six times (2002 and 2003). Excellent course of 3x9 holes. Very well maintained and quiet in October. Experience 27 great holes with excellent views . Like most Spanish courses building is going on nearby . Club house and rstaurant are ultra modern with excellent food . The whole area is tranquil without the bustle and queues experienced on the more well known Costas. Give yourself a treat . La Canela,close by makes up for a further interest on what is almost lush "links" course. I will return!!! !